Artists in Washington County will have the opportunity to see their projects potentially funded as the Creative Impact Workshop Series kicks off this January and February. Hillsboro's Arts & Culture Council wants creative people, no matter if they are part of an organization or not, to come out and learn about applying for annual grants available to them, said Melissa Moore, Hillsboro's community arts program supervisor. More than $360,000 has been given out over the years to fund and support artists and local programs and organizations, and the Hillsboro Arts & Culture Council doesn't want to stop there, Moore said. "We are hoping as many people as possible who have an idea for a creative project in Washington County will come," she said. The first out of the series is the Washington County Arts & Culture Grants Panel on Wednesday, Jan. 16, free to attend with reservations required. While having this panel for the last seven years, the council has rotated speakers, Moore said. This year, representatives from the Hillsboro Arts & Culture Council, Cultural Coalition of Washington County, Regional Arts & Culture Council, Miller Foundation, and Precipice Fund by Portland Institute of Contemporary Art will be in attendance. Attendees will have the opportunity to ask questions of potential funders. Housed at the Glenn & Viola Walters Cultural Arts Center since 2008, the panel will instead meet Jan. 16 at Hillsboro's Brookwood Library from 4 to 6 p.m.
"Our goal is to connect local artists and community groups with funders, as well as to empower them in their grant-writing process," Moore said. 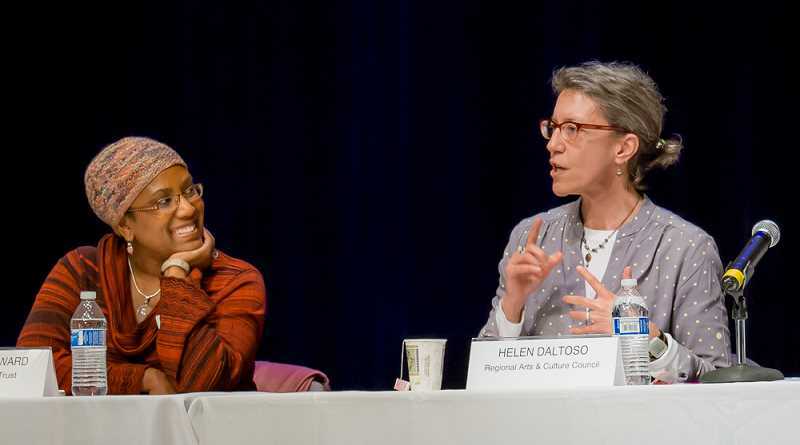 Now, the cities of Hillsboro and Beaverton and Tualatin Valley Creates, a nonprofit encouraging the humanities in Washington County, are sponsoring the workshop series as a unit. Individual artists, community theater groups, local galleries and youth choirs are only some of the many groups seeking help on funding their projects in the New Year. The workshops have been geared to help with tasks like donor pitches and research beyond the strenuous task of grant-writing, Moore said. They have also seen social service groups apply to fund art projects, she said. "This last year we had members of a local PTA (from Minter Bridge Elementary School) who never written a grant before — they attended the grants panel, they took some of our advice as in reaching out to us and talking about their grant before applying, then they were funded to put on an after-school theater program at their school," Moore said. Minter Bridge Elementary decided to use the awarded money to hire STAGES Performing Arts Youth Academy to run an after-school theater program for children for free, Moore said. The Creative Impact Workshop Series is "really excited" to be adding a new grant program this year, Moore added. The Cultural Arts Venues Grant is debuting this year, allowing organizations to apply to rent the Glenn & Viola Walters Cultural Arts Center for no cost. This would allow the use of the theatre, gallery, and classroom spaces at the Walters Cultural Arts Center on select dates this coming May and June. Moore said even the lowest rates at the Walters "can be a barrier for some organizations." "We wanted an equitable way to handle the requests we get, so we created a competitive grant process to provide a free venue rental," she explained. 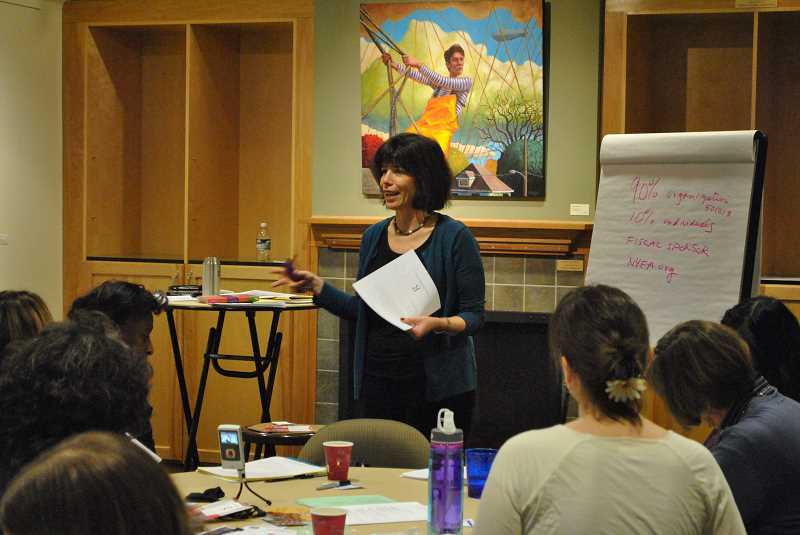 The workshop series continues with "Fund Your Creative Project: Grant Writing for Artists," a hands-on workshop led by artist coach and author, Gigi Rosenberg, on Jan. 26 and Feb. 9 for $40. Both of the dates were chosen to be well before the grant deadlines, Moore said. Portland-based writer and speaker Rosenberg wrote "How to Find Funds and Write Foolproof Proposals for the Visual, Literary, and Performing Artist," available on Amazon. "She is a great presenter and really encouraging to help people who've never written a grant before, or have but don't feel confident — she can get them to that level," Moore said. Interested individuals can also attend "Using Data to Tell Your Story: Research Resources for the Creative Industry" on March 16; "Welcoming Diverse Audiences: From Invitation to Engagement" on April 10; "Kickstart Your Community Mural! How to Plan and Create a Mural in the Public Realm" on May 4; and "Arts Advice: A Day of Pro-Bono Consulting" on June 2. Community Arts & Culture Grant applications are due by 5 p.m. on Feb. 22, while the venue grant proposals are due on Jan. 31. Applications can be found at this website.Applications can also be picked up from the Walters Cultural Arts Center at 527 East Main St. in Hillsboro. If you have any questions about the application process or about whether your project or organization is eligible for a grant, call 503-615-3497.